Botswana tours are your ticket to see the most incredible flora and fauna. 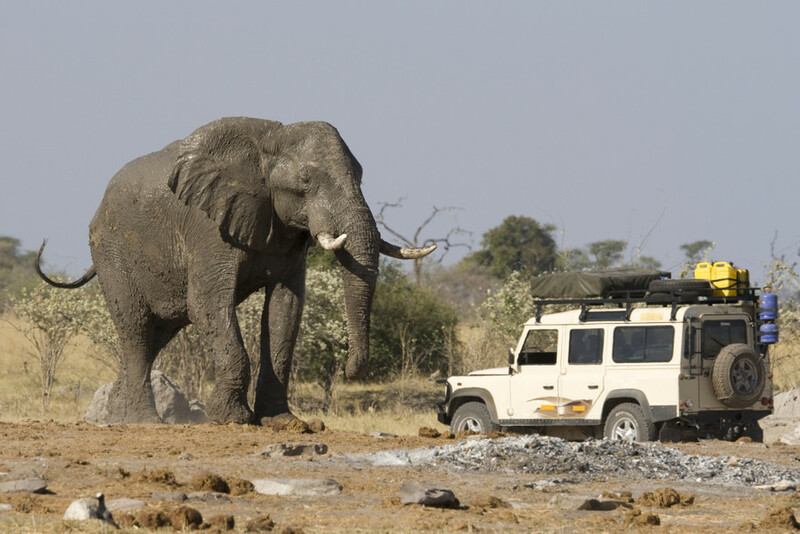 Go on safaris and game drives at Chobe National Park, the Moremi Game Reserve, and other wildlife areas. 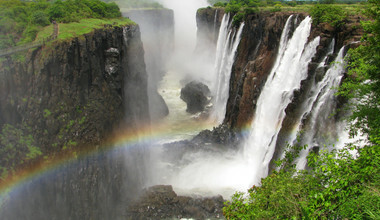 You can also go for bush walks with bushmen, explore the areas on a traditional dugout canoe, and visit the Victoria Falls in neighboring Zimbabwe. 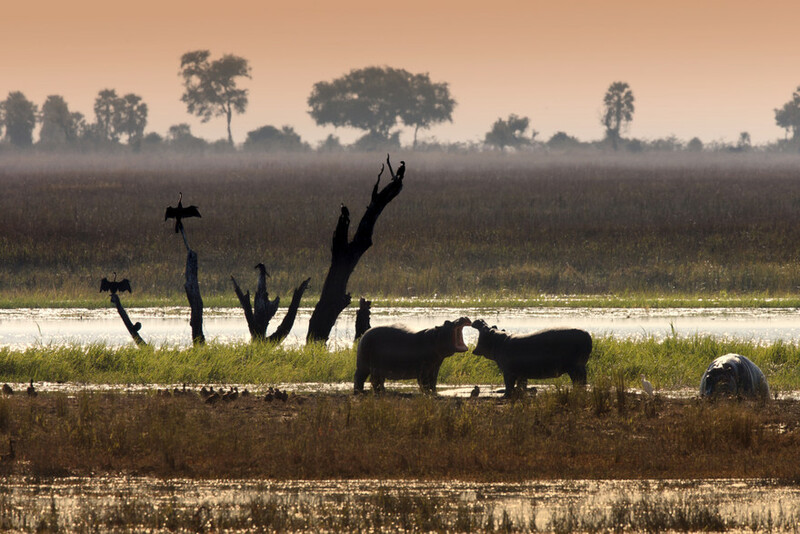 Close encounters with amazing wildlife and the Okavango Delta make Botswana tours a thrilling experience. Share your ideas with our Destination Expert! Private tour, permanent guide Private tour with permanent guide and private transfers. Private transfer, guide on excursions Organized tour with transfers and guides on excursions. Organized Hotels/transfer, no guide Only hotels and/or transfer services are organized. Self-driving When possible I like to drive myself. Join a group tour Be part of a tour with other travelers. Selecting multiple experiences displays trips containing at least one of the experiences. Selecting multiple regions displays trips containing at least one of the regions. 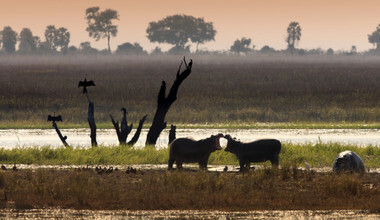 When to go on your Botswana Holidays? Choose a trip you like or directly contact a local expert. Customize your trip to your wishes. Flexibly. Book and pay safely via trip.me Payment Plus. Travel with selected & trusted local agencies. Review your trip and start planning your next one. We are very happy with how Hannah organized our trip and we would recommend her services to anyone traveling to South Africa. The communication with h..."
Botswana gained independence from the United Kingdom in 1966 and has since gone from strength to strength. Despite its increasing success in the economic field, however, Botswana holidays remain a beguiling concept for the traveler: miles upon miles of sparsely populated lands where nature reigns supreme. This is, after all, a country about the size of France with a population of under 2 million. 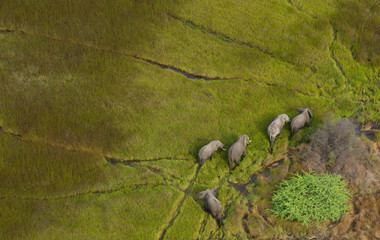 If you’re looking for luxury safari tours, Botswana may just be the end of your search. Thanks to the Okavango Delta and the Chobe River, you can find almost all the animals you could wish for thriving in their natural habitat, and a wealth of safari tours in the area are available to take you right into the heart of the action. You’ll come face to face with lions, giraffes, elephants, cheetahs, zebras and much more. Her population may be small, but on Botswana holidays you can’t help but dream big. 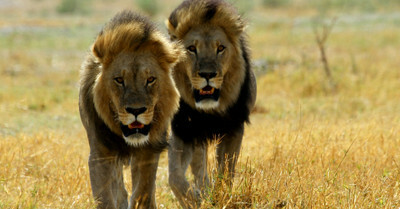 Botswana tours & safaris will open your eyes to experience the hidden wealth contained within Africa. It is no secret that Botswana, one of Africa’s most economically stable and affluent countries, is an African pearl, growing an growing within the tourism industry. Along with having a flourishing education and health care system, Botswana is a landmine of sensational wildlife safari’s, offering some of the greatest creatures (in their natural habitat) on the planet. Botswana safari is rich in culture and refreshingly wild. Botswana’s attractions, although predominantly consisting of national parks and game safaris, are constantly changing, adapting and finding diverse activities that will enthrall around every corner. 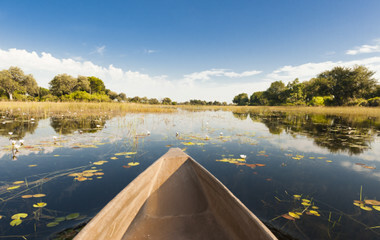 Situated in one of the aridest regions of Africa, the Okavango Delta, possibly the most iconic tourist attraction in all of Africa, is home to a spectacular selection of unique wildlife, diverse animals and an array of birdlife. 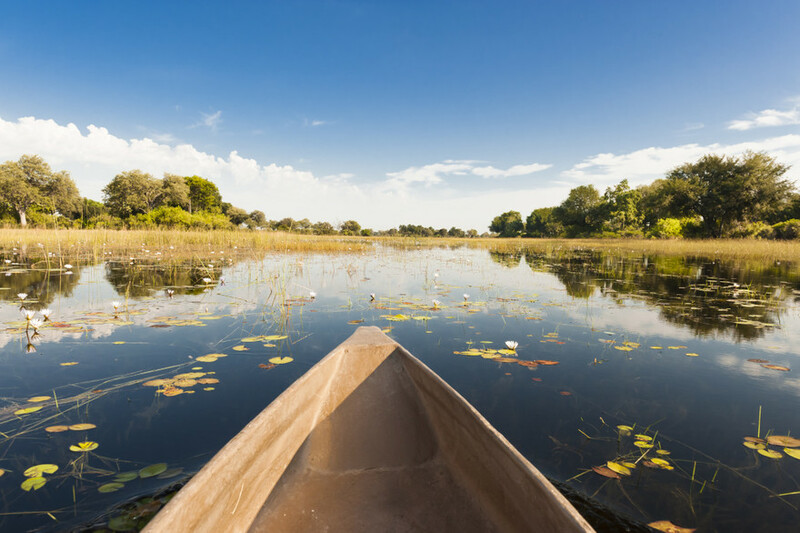 Okavango Delta is the worlds largest inland delta and contains a myriad of waterways and tributaries, of course contributing to the extreme attraction of the beautiful African wildlife. An experience that mustn’t be missed on your Botswana tours. 70% of Botswana is covered by the Kalahari desert. As a result, awe-inspiring tours into the remote silence of the Kalahari captivate those who seek the ultimate desert adventure, stargazers, camel riders and people escaping the frivolities of city life. 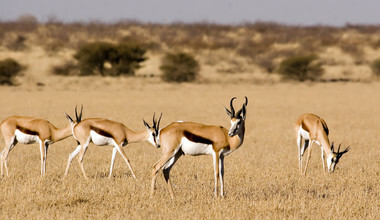 The central Kalahari Game Reserve provides great holidays that travel through the very core of African desert studies. 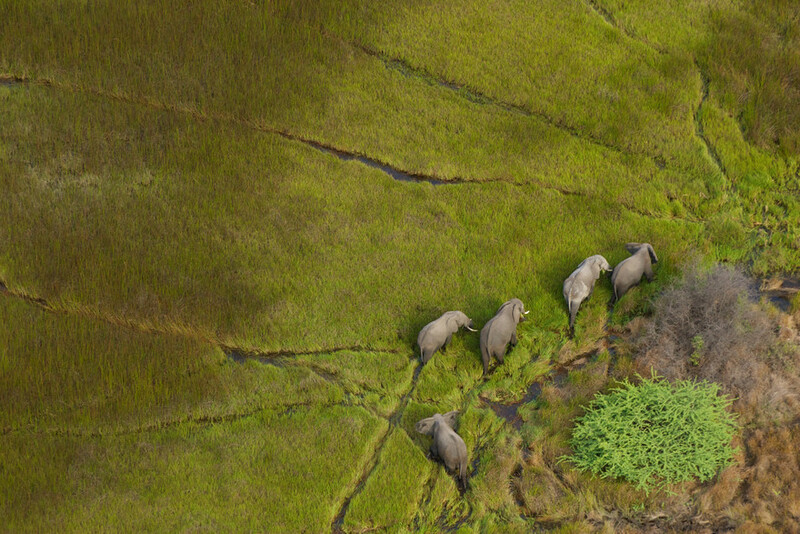 Encompassing an emphatic 11,000 sq km is the quintessential Chobe National Park. 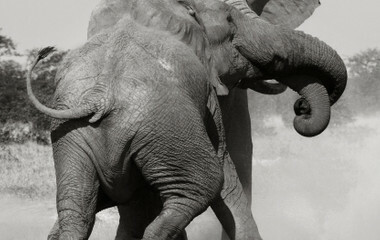 On your safari holiday here, you will observe some of the most varied wildlife in Botswana. With the highest concentration of game and lying just 100 km south west of Victoria Falls, this area epitomizes Africa’s charm, in a condensed, scintillating area. Other great things to do in Botswana include the Tsodilo Hills, a spiritual outdoor art gallery that exhibits the ancient rock paintings/engravings of the San Bushmen. 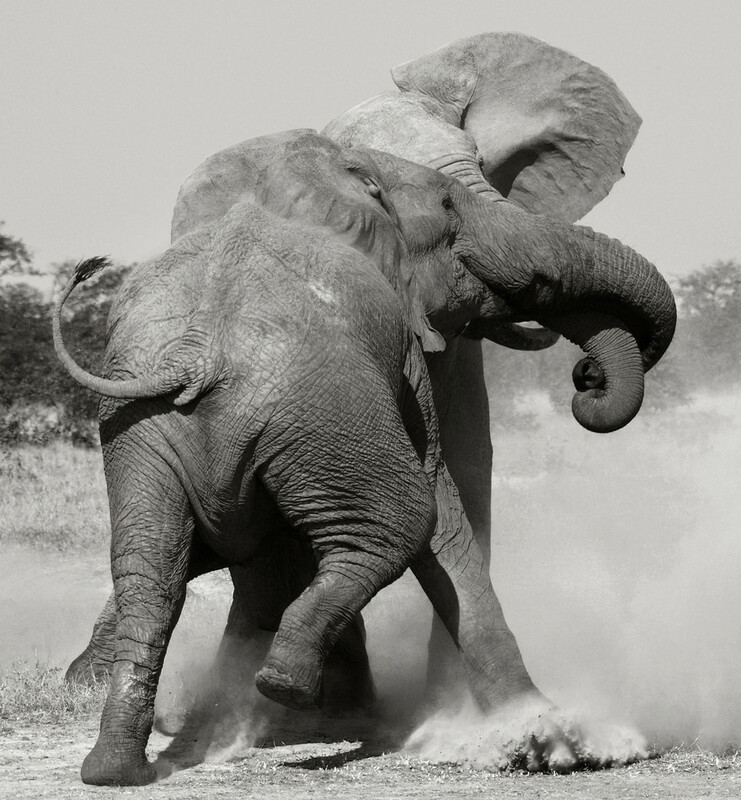 The Moremi Game Reserve contains an unrivaled amount of game life. With the top 5 on offer, the park recently introduced the black and the white rhino. Seswaa, the Botswana national dish, is a tasty maize porridge dish usually with a lot of meat, but equally nice with vegetables or spinach. Groundnuts and beans are also part of the staple diet in Botswana, along with an array of exotic fresh fruits. After gaining independence from the United Kingdom in 1966, Botswana has gone from strength to strength, now boasting a modest standard of living and still becoming one of the fastest growing economies in the world. Sparsely populated, with an array of wildlife adventures and activities, Botswana holidays have never looked so bright. April-May tends to be the perfect time to visit Botswana with regards to the weather. June-September has very cold nights and very hot days and is also generally a great time to visit. The rainy season arrives between December and March. For big game safaris from September through October are when the game is most condensed due to the hot, dry weather. We are very happy with how Hannah organized our trip and we would recommend her services to anyone traveling to South Africa. The communication with her before our trip was flawless, she grasped quickly the type of journey we were seeking. Her husband and herself met us at the airport and we received a cute bag and a booklet with our itinerary. Afterward, our guide was Faizel Nelson who is a great person, very knowledgeable and honest. He quickly understood that we are not as regular tourists and we like to go off-the-beaten-track, and he brought us to some great places. We highly cherished his flexibility and readiness to go the extra mile to show us how amazing South Africa is! Hannah was very helpful in fulfilling our desires for an exciting South African adventure. The accommodations selected were excellent. The scheduling of events was an added bonus. Our guides were knowledgeable & quick to assist us in assuring a great experience. We had a very memorable trip. Hannah did a great job! Everything was organized well and in a professional way. Hannah took care of every detail beginning to end and made sure my trip ran smoothly. Hannah was excellent from start to finish! She put together an exceptional trip and her attention to detail and her communication throughout the planning process was exceptional. It was such a pleasure working with Hannah and having the opportunity to meet her in South Africa. South Africa was a trip of a lifetime thanks to Hannah's expert knowledge. "- Easy to use - I like the flexibility to state what I wanted and a matching itinerary was given which was excellent - Straight forward payment system - Value for money!"